Here is some of the artwork used for our posters and programme covers in recent years. Artwork by Emma Cloke. 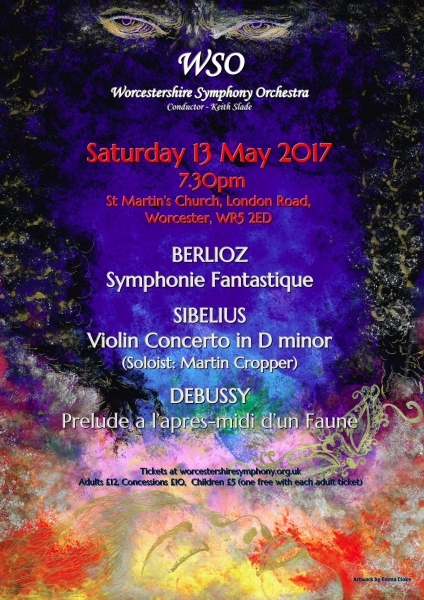 Poster for the Sibelius Violin Concerto and Berlioz Symphonie Fantastique concert.